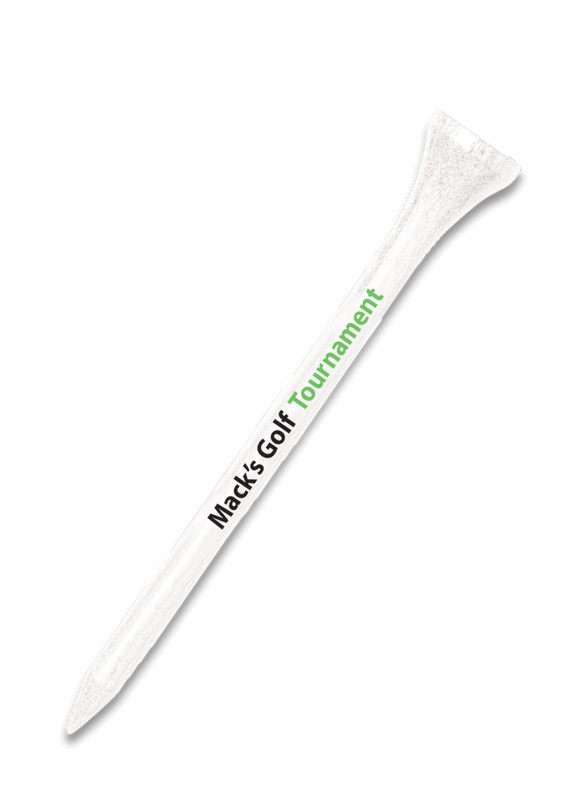 Bamboo golf tees - 2-3/4"
Bamboo golf tees available in white and natural. Pricing per thousand. 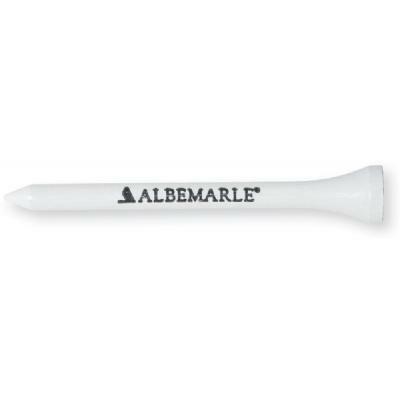 Base price includes a 1 color imprint on the shank. 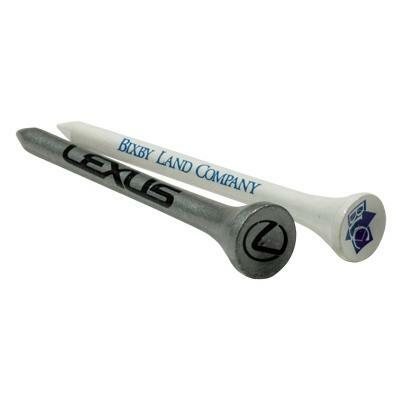 Wood golf tees with a two color imprint - 2 1/8"
Wood golf tees with cup & shank imprint - 2 1/8"
Bamboo golf tees - 3-1/4"
Wood golf tees with a two color imprint - 2 3/4"
Wood golf tees with cup & shank imprint - 2 3/4"
Wood golf tees with 1 color imprint on both cup and shank of tee. Minimum of 5,000 tees. Priced by the thousand and must order in increments of 1,000.